Your flat screen is a handicap. 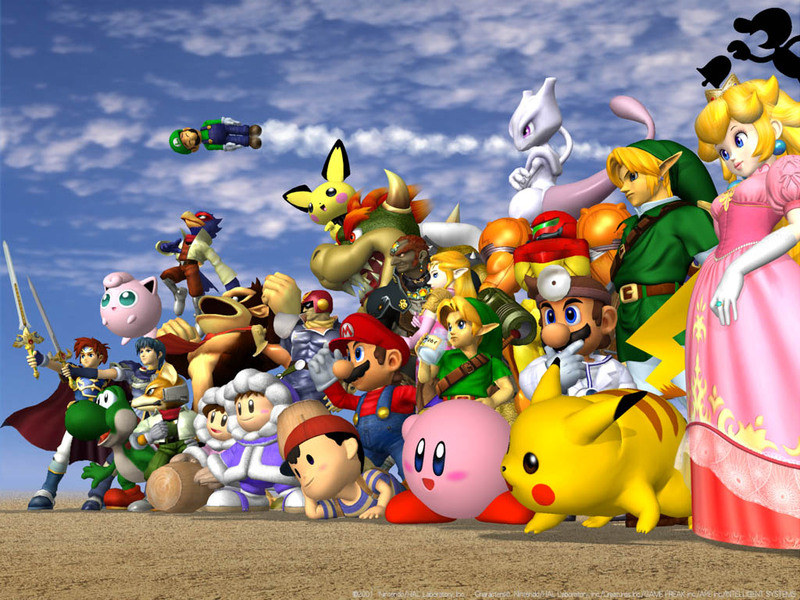 On Sunday, Team Liquid’s Juan “Hungrybox” Debiedma mounted an impressive comeback at the Evolution Championship Series in Las Vegas 2016 to take home top honors at the annual Super Smash Bros. Melee tournament. Battling his way through a competitive loser’s bracket, Hungrybox topped last year’s champion, Adam “Armada” Lindgren, to snag the title of best Melee player in the world. And while the drama was palpable and the victory sweet, what stood out most was the competition’s hardware. In a world of monitors and televisions capable of displaying full 1080p at an astonishing 60 frames per second, the Evo 2016 Melee competition was played on an old-school CRT — short for “cathode ray tube” — monitor. The question, of course, is … why? When you decide to knock off for a bit and escape to a virtual world or engage in some online combat, you’re likely looking for a big, pretty, and immersive experience. So, an LCD is your go-to display. Of course, professional gamers — or those obsessively looking to gain that extra edge — are hoping to get more from their monitor than simply a sweet-looking explosion. You see, the type of graphical output can actually have a minute, but invaluable impact on gaming performance. The primary reason that pros in the fighting game and first-person shooter arenas rely on a CRT over the shinier and less cumbersome LCD monitors is the lag issue. Though it’s only a fraction of a second — 17 to 18 microseconds on most monitors — this delay between a gamer pressing a button and seeing its corresponding action play out can make all the difference when competition is at its highest levels. It’s relatively common knowledge that most video games still struggle to hit a consistent 60 frames per second when the action gets going. Once technology hits that benchmark, they’ll inevitably try to ramp up the frames per second (or fps, as it’s regularly referred to) to even higher levels in the pursuit of mimicking the constant stream of information we receive to our eyeballs. For most of society, the rate at which our eyes can detect mild fluctuations in light and color is analogous to about 75 fps. And guess what: most CRT monitors can do 75 fps in their sleep. This consistent frame fidelity enables gamers who are in need of reliable twitch performance to detect minimal fluctuations on the screen, a distinction that can mean the difference between life and death in a game like Super Smash Bros. Melee. Pros who play games that require split-second timing, especially older titles like Super Smash Bros. Melee, get more of a handle on their game by using a CRT over an LCD. A CRT not only provides more responsive timing for professional FPS and fighting games, its ability to display deeper blacks and a more consistent frame rate makes twitchy action easier for the human eye to absorb. The CRT may not be quite as pretty as the modern day monitors, but when performance and timing are your priorities, it’s the only way to go.